Do You Wanna Use a Snowman? This was the second goodie I got from the #bloggersSecretSanta14 event last month. 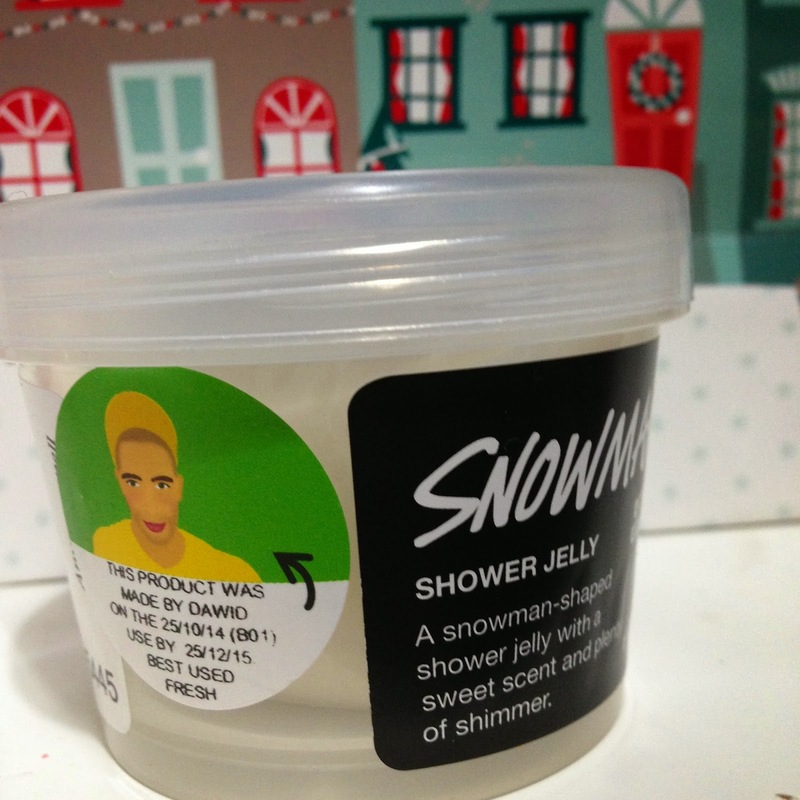 Snowman shower jelly is not a product I have used previously so I was unsure if I was going to like this or not as I'm not a huge fan of products which come in a solid form in the shower. I found before with shower bars or jellies they don't foam up so you don't get the lathering up feeling you do from gels or from liquid shower products. 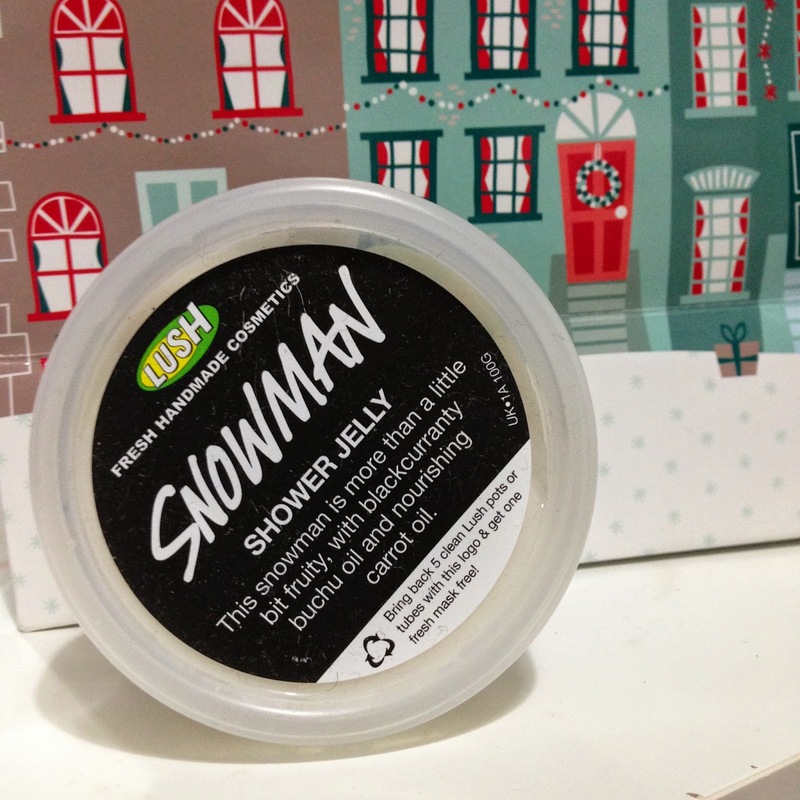 Snowman is another one of Lush's Christmas range, I can see why this product is only available around Christmas as it is a little treat. When I first opened the tub I was surprised that there was a little snowman hiding inside the tub when I emptied this onto my hand. at first I was a little apprehensive about using the product as I didn't loose the Snowman form of the jelly. 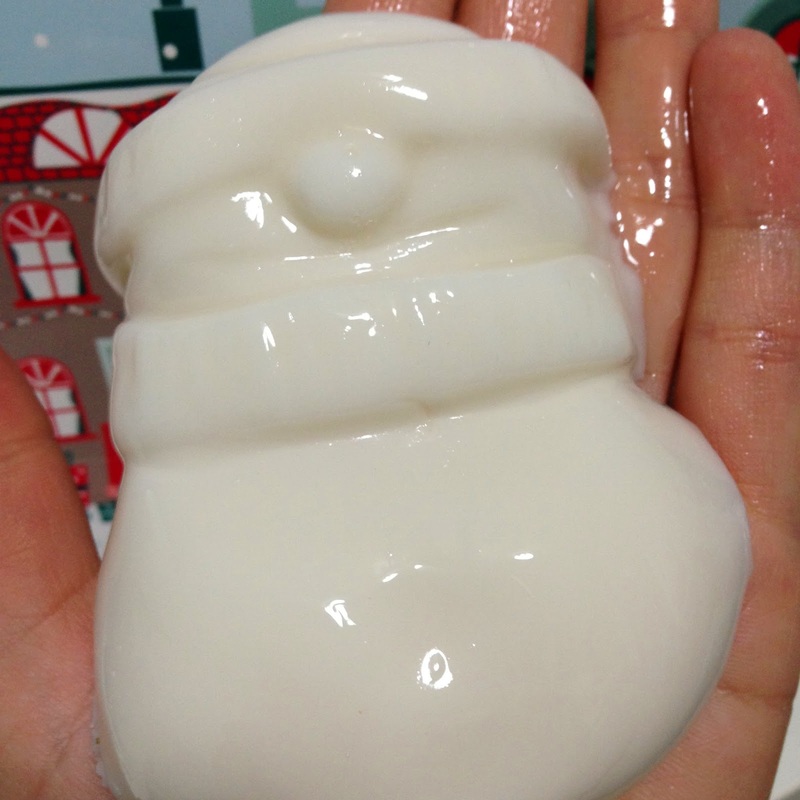 When I used Snowman in the shower it did lather up without too much product being used. The product doesn't really smell like anything I have used before, I expected it to be more creamy smelling but it isn't at all. It contains blackcurranty buchu oil and carrot oil, so carrots for the nose of the snowman and blackcurrant for the eyes. After using this in the shower my skin felt nourished and pampered which I surprised but felt this was a great feeling from a shower jelly. 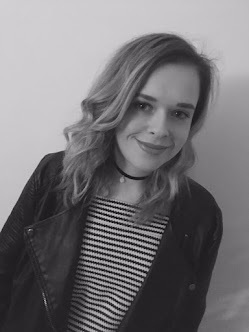 Have you tried any other products in the Christmas range?